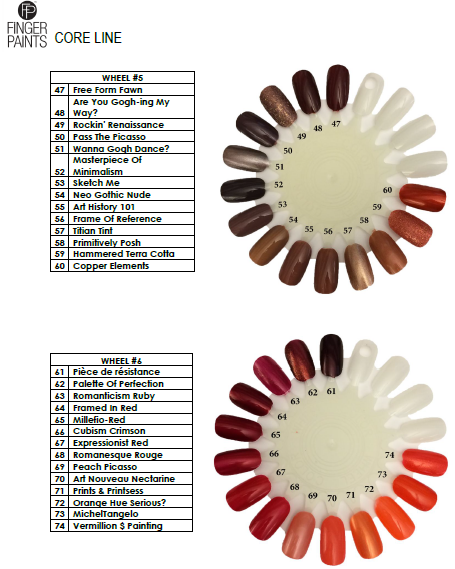 Ria Loves Pawlish: NEW FingerPaints Professional Artistic Nail Collection Press! 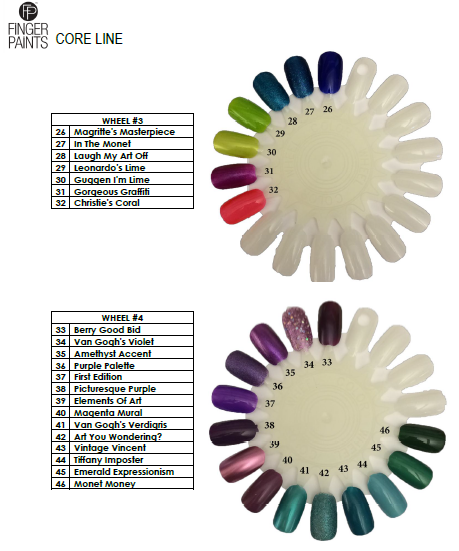 NEW FingerPaints Professional Artistic Nail Collection Press! 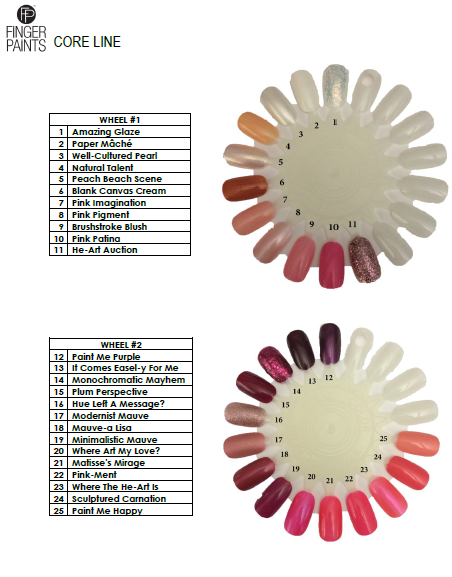 i was really excited to get an email about the new FingerPaints Artistic Nail Collection exclusively launching at Sally Beauty Supply this month :) it will have over 90 shades and is formulated to provide exceptional wear and resist fading! there is even a brand new bottle design and brush technology. 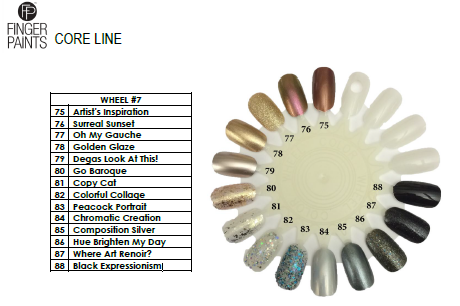 here are swatch wheels of the new FingerPaints core line, and new collections within the line will be launching each month! i'm super excited for these to come out... i was never in love with the old FingerPaints brush and bottle, so i can't wait to see what they've come up with. plus, these look absolutely gorgeous!